Phoenix Services is a technology leader in heat treating services. Having brought many new products to this field, we continue to innovate in ways that other companies cannot match. Our Management Team’s experience and knowledge in process, mechanical and metallurgical engineering insures safety, quality – focus and on-time project completion. 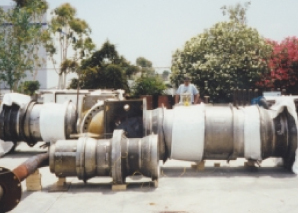 Our Heat Treating Teams have worked all over the world in refineries, petrochemical plants, gas plants, oil fields, offshore platforms, mines, power generating plants (nuclear, fossil and hydro), shipyards, metal processing and fabrication shops. 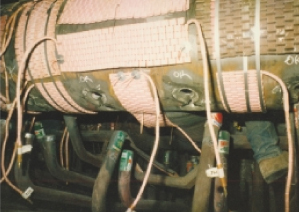 Phoenix Services offers annual and/or job contract services for preheat and stress relief of piping, pressure vessels and fabrications, as well as shop heat treating for new construction, plant maintenance and metal fabrication. 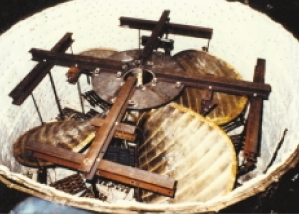 Heat Treating 20’ Diameter Ship’s Propeller utilizing temporary circular furnace. Refractory curing of pressure vessel intervals.